Next -- We have always felt that we have a great COO and Founder, and now others are taking notice. 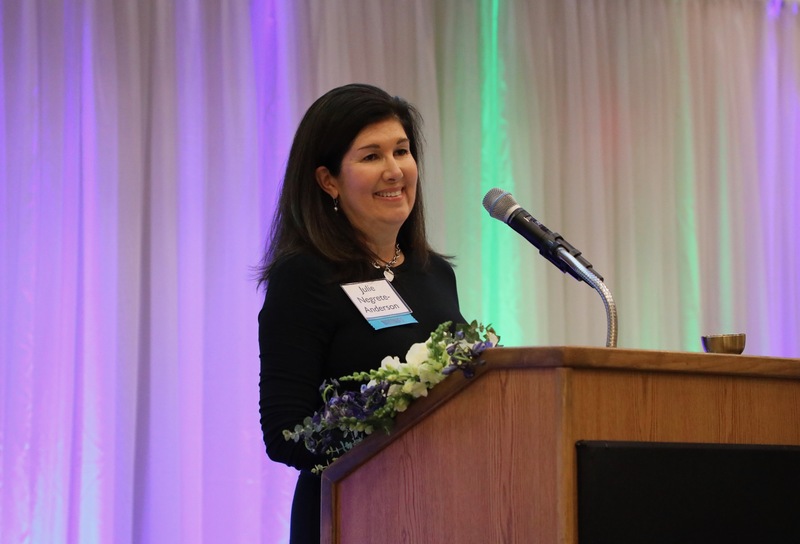 Last week the Jacksonville Chamber Professional Women’s Council named OnPay Solutions’ COO and Founder Julie Negrete-Anderson as Professional Business Woman of the Year! This is a prestigious honor recognizing her for being a role model for women and empowering them as they navigate their own path. Here, we like to call her our Fairy Job Mother for all that she does in making OnPay Solutions a great place to work with the right people, in the right positions at the right time for them. In addition to all of that, she helps keep the place a well-oiled machine, forging ahead and making a positive impact in the payment space and more importantly, in the lives of every member of the AP departments of our clients. Read more about both awards and OnPay Solutions on our NEWS page and let us know if you'd like to learn more about how we can help your business improve and transform your payables processes. Digitize Accounts Payable Payments…Join the Movement!